Apply the skin solution over your face and neck after cleansing. Tap until it is absorbed. Use every morning and night. Find skin glow with a fresh, flawless radiance. Now you can remove first signs of aging- uneven skin tone, dullness and fine dry lines. Comforts and cushions dry skin with soothing emollients and luscious texture. Guarantees genuine skin glow with a beautiful and healthy vitality. Apply a small amount of the fluid over the face and neck. Massage with fingers over your skin. 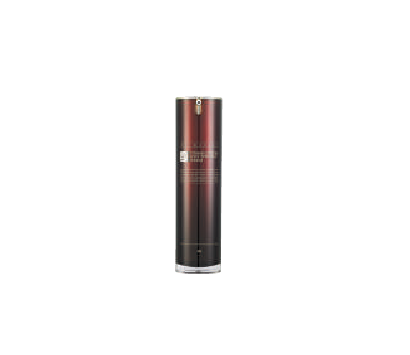 Let it penetrate and proceed with the Anti-Wrinkle Cream or Skin Delight Cream. Use every morning and night. Contains various growth factors and peptides, which improve the appearance of wrinkles by increasing the level of collagen, elastin and other ECMs (Extra Cellular Matrix). Apply a small amount of the serum after pH balancing with skin solution. Massage from inside towards outside according to the skin texture. Use every morning and night. 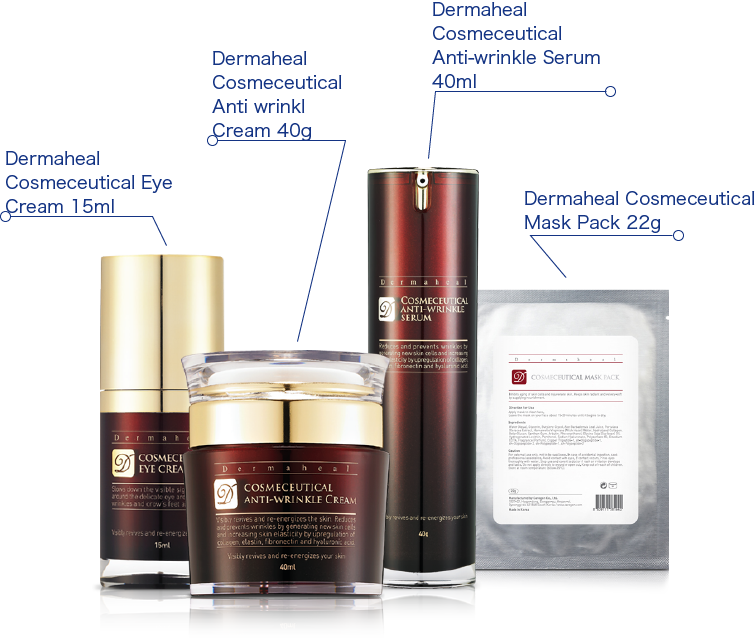 Anti-aging product line contains high concentration of growth factors to prevent skin aging. Maintains optimum moisture balance and keeps your skin radiant with supplying nourishment. Reduces and prevents wrinkles by generating new skin cells. Apply a small amount of the serum on your face. Massage over face and neck with light circular motion until it is absorbed. 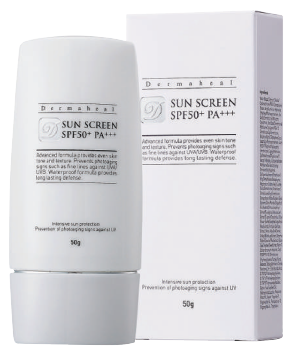 Follow with Dermaheal Cosmeceutical Anti-wrinkle Cream. Use every morning and night. Apply a small amount around eye area and pat until it is absorbed. Use every morning and night. Visibly revives and re-energizes your skin. Reduces and prevents wrinkles by generating new skin cells and increasing skin elasticity from upregulation of collagen, elastin, fibro-nectin and hyaluronic acid. Apply a small amount on your face and neck. Gently massage with light circular motion from inside towards outside. Use every morning and night. Strong antioxidant that reduces free radicals and inhibits the aging of skin cells. Keeps skin radiant and velvety-soft by actively supplying nourishment. Increases collagen and elastin level and reduces blotchiness. Apply the mask to your clean face. 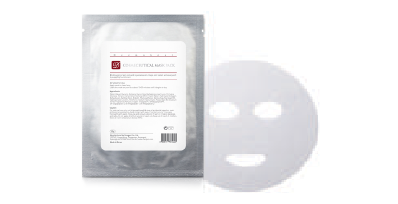 Leave the mask on your face about 15~20 minutes before it begins to dry. 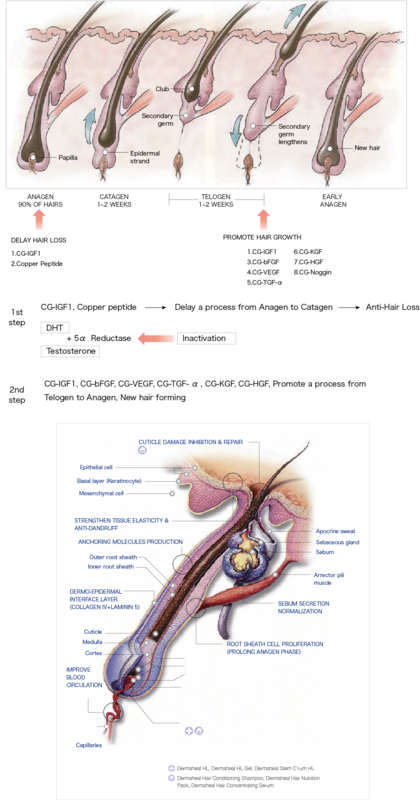 The pathway shows how Growth Factors stimulate cells and result in cell proliferation finally. It improves skin problems from cellular level by providing simultaneous action to revive and regenerate skin cells. 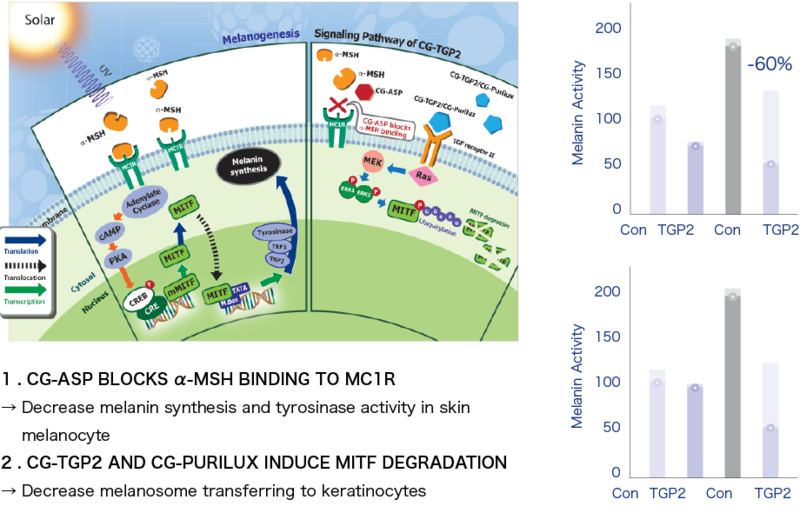 Cell migration, inhibition of apoptosis, gene expression and cell proliferation by Growth Factors eventually increase ECMs (Extra Cellular Matrix) such as collagen, elastin, laminin, fibronectin and hyaluronic acid etc. 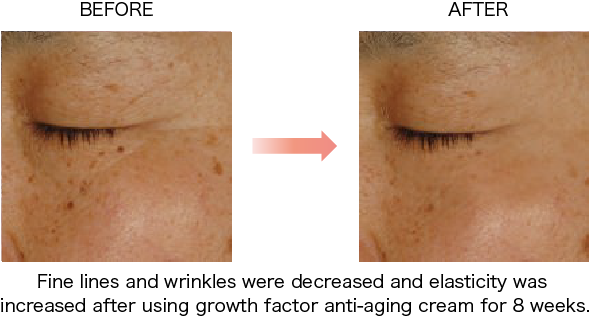 Wrinkle depth was decreased by anti-aging cream treatment. Wrinkles were improved by anti-aging cream treatment. 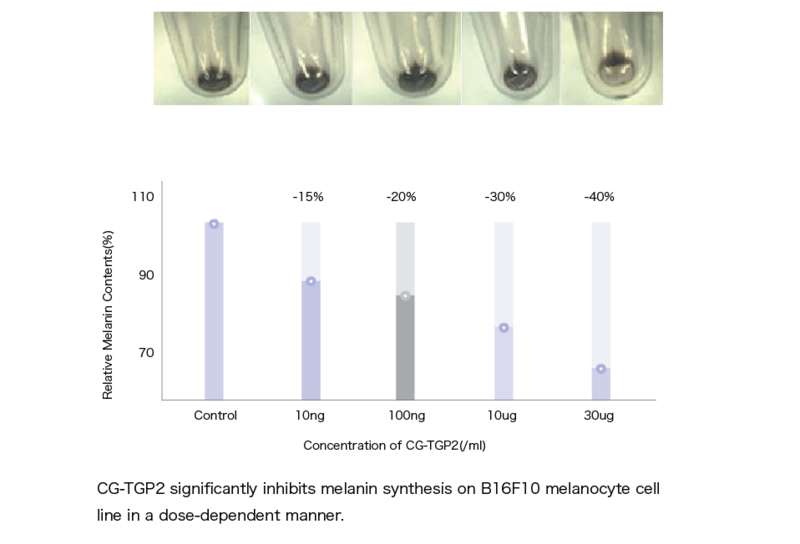 Upon investigation of the skin tissue in histology relaxed and irregular layers were observed. 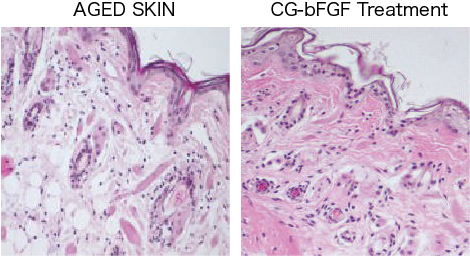 Treatment of CG-bFGF induced and densed collagen layers. 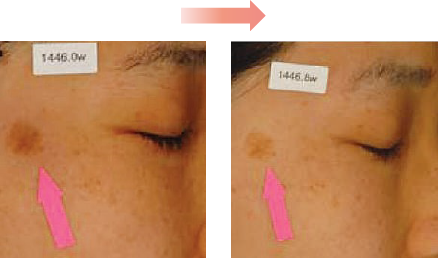 Appearance of melanin is due to an increased number of pigment cells(melanocytes) or increased production of melanin. 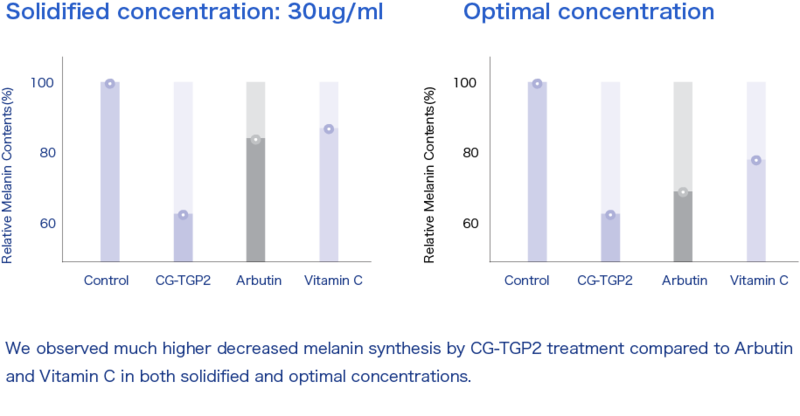 After years of research in biomimetic peptides, we have discovered many peptide candidates for anti-pigmentation and anti-inflammation. 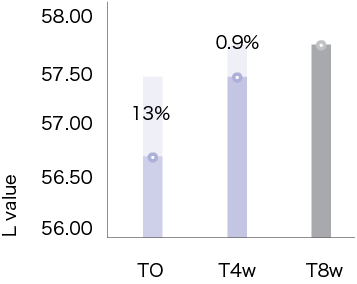 Phenotypic appearance of melanosome transfer in co-cultured cell lines with melanocytes( B16F10 )and keratinocyte ( HacaT ).Representative morphologies of co-cultures were observed under microscopy ( X 100 ) which was exposed for 4days with 200ng/ml α–MSH and 30µg/ml CG-TGP2. 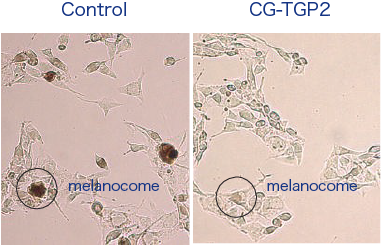 In cell morphology comparison, we observed the decreased melanosome formation in CG-TGP2 treated melanocyte cell line. Cleanses hair and scalp to absorb maximum active ingredients. 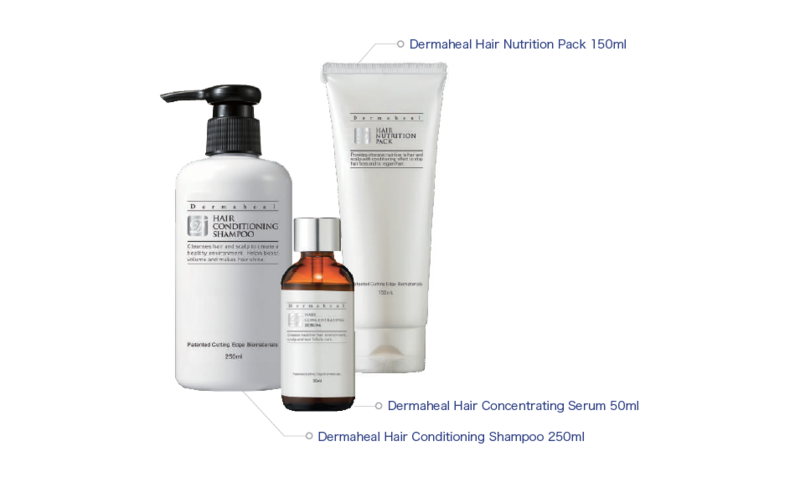 For synergetic effects of anti-hair loss and hair regain, use Dermaheal Hair Nutrition Pack and Dermaheal Hair Concentrating Serum together. DIRECTION FOR USE Apply to wet hair, massage scalp gently. Rinse thoroughly. 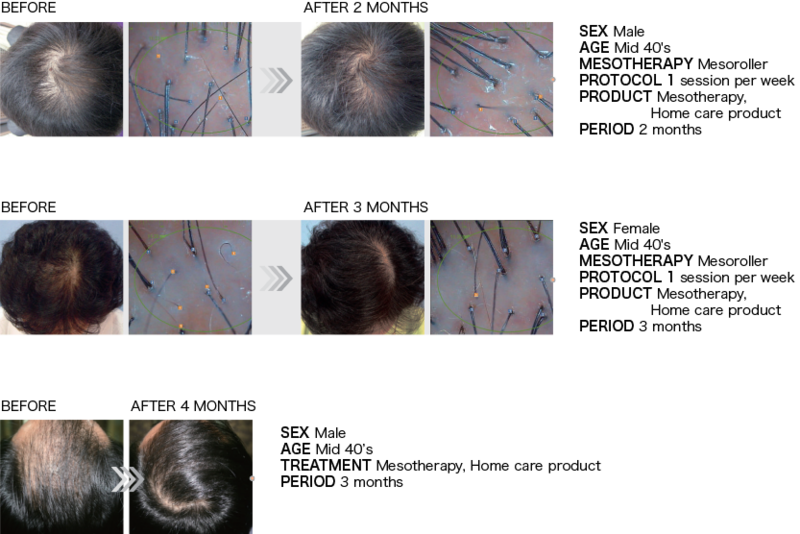 High concentration of biomimetic peptides and other active ingredients for hair nutrition intensively care scalp and hair follicle to stop hair loss and to regain hair. DIRECTION FOR USE Drop the Hair Serum directly onto target area of scalp and massage scalp with fingertips for 2-3 minutes before bedtime to provide sufficient time for scalp to absorb the product. Allow product to remain on scalp for at least four hours before washing hair. Hair Serum should be used on a daily basis. Keeps your skin clear and soft with a facial scrub that gently exfoliates dead skin cells, removes excessive oil and blackheads and minimizes pores. Rich and creamy cleanser that gently lifts dirt, make-up and impurities to leave the skin feeling soft, supple and smooth. Promotes a make- up look to be vibrant and natural. Minimizes the visibility of pores and softens imperfections for a flawless appearance. Rinse your face with lukewarm water. Squeeze a small amount of cleanser on your palm and work into a rich lather. Massage on face with gentle circular motions. Rinse thoroughly. Use every morning and night.